Those large complicated-looking coffeemakers usually seen at cafés are wonderful but they aren’t ideal for use at home. Unless you plan to sell coffee yourself, having such a coffeemaker is excessive. 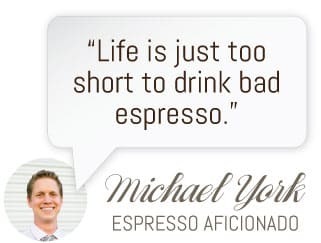 But since coffee enthusiasts are increasingly patronizing coffee shops, innovative espresso maker producers are working to help them prepare coffee at home that will taste like it was made by a barista. These companies are making espresso makers that enable everyone to easily prepare high-quality coffee themselves. Among the notable ones is the Waring Pro ES1500 Professional Espresso Maker. 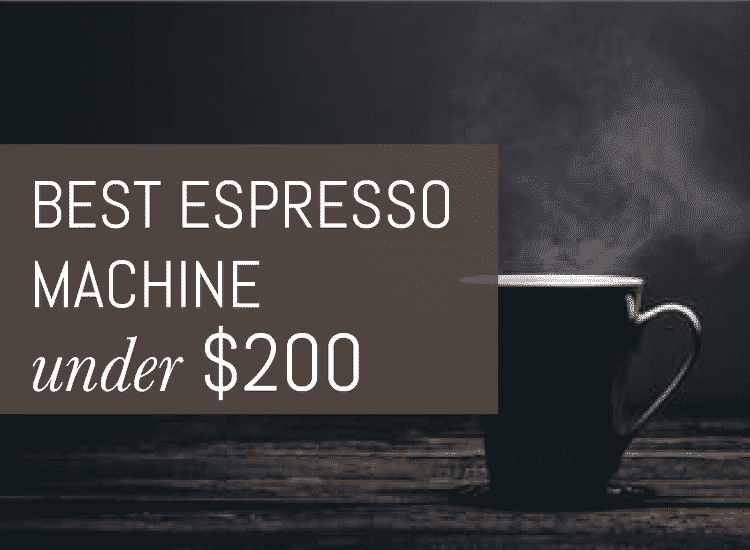 Similar to most coffee shop coffeemakers, the Waring Pro ES1500 Professional Espresso Maker comes with the features that coffee enthusiasts expect in a professional-grade espresso maker. 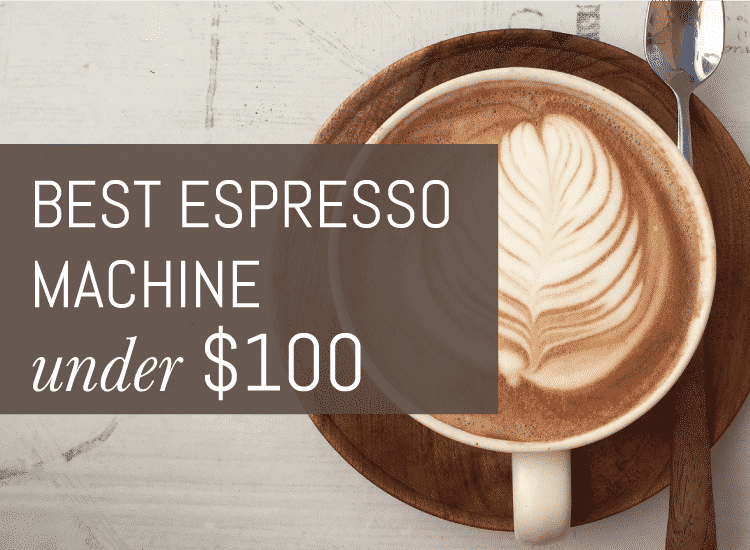 To be specific, it comes with a 15-bar pump, which ensures full flavor extraction, and a steam wand that dispenses hot water for other beverages; making it versatile. Having a variety of useful features, the Waring Pro ES1500 Professional Espresso Maker is truly a convenient, and effective, coffeemaker as well. These features are: 2 separate filter holders (i.e., one for pods and another for ground coffee beans), 42 oz removable water tank, grille, and drip tray; and a large cup warmer atop it. The two filter holders make it truly convenient to use. The removable water tank, grille, and drip tray make cleaning it a cinch. The water tank’s capacity lets you prepare multiple cups of coffee without the hassle of having to refill it several times. The large cup warmer enables you to leave your cup of coffee here for several minutes without worrying that it might get cold. It could also keep your family’s, friend’s, or guest’s cups of coffee warm; making it even more convenient. The other useful features of the espresso maker are: compact design (i.e., 17.4″ x 12.5″ x 11.6″ in dimensions; 14 lbs in weight), which enables it to fit snugly wherever you’d place it at home; clearly displayed pressure gauge, which enables you to brew with precision, as well as prevents accidents; and tamping tool. Although it’s a professional-grade espresso maker, according to a few consumers, it doesn’t work as well as it should. To be specific, they say: the coffee holder won’t seal properly, causing coffee and water to leak and make a mess. They also say: it runs out of steam fast, virtually no grind setting works well with it, and its cup warmer isn’t as effective as promised. Nonetheless, it has received a rating of 3 and a half stars out of 5 on Amazon). While having some coffee at a café is always a treat, as far as we’re concerned, doing so can’t replace the pleasure of enjoying great coffee at home. 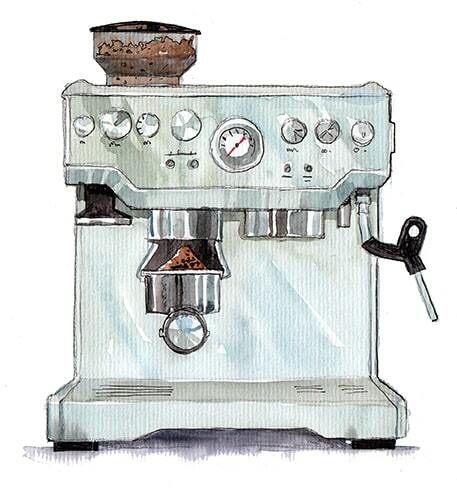 When made by one’s own hands, a cup of delicious coffee satisfies like no other beverage. Through the above review of the professional-grade espresso maker, we hope to encourage you to start truly enjoying coffee at home once again.